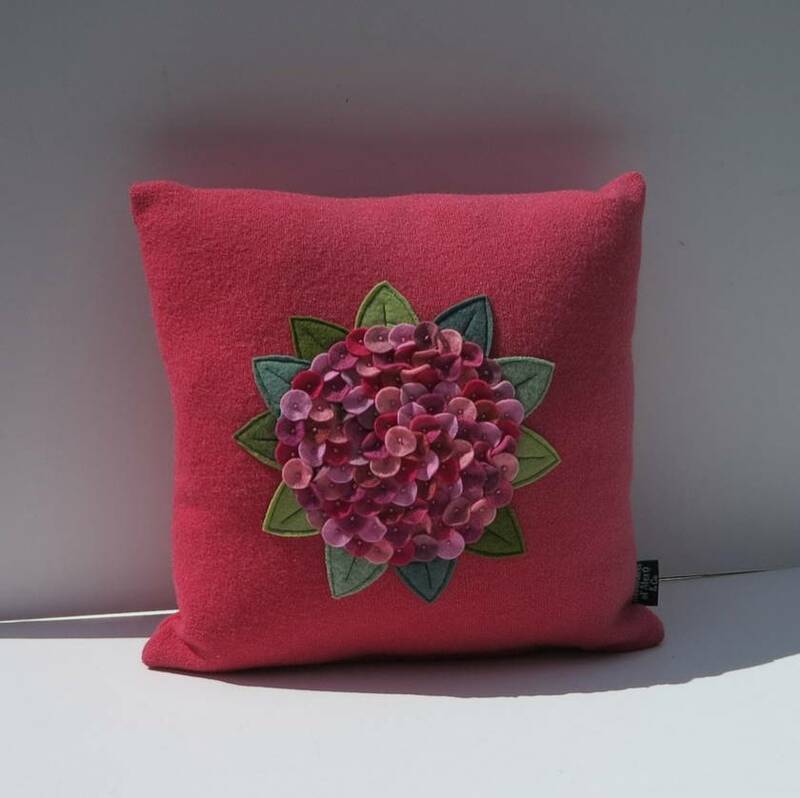 Cushion " Hydrangea in shades of Pink "
This beautiful cushion is made from 100% recycled wool blanket. 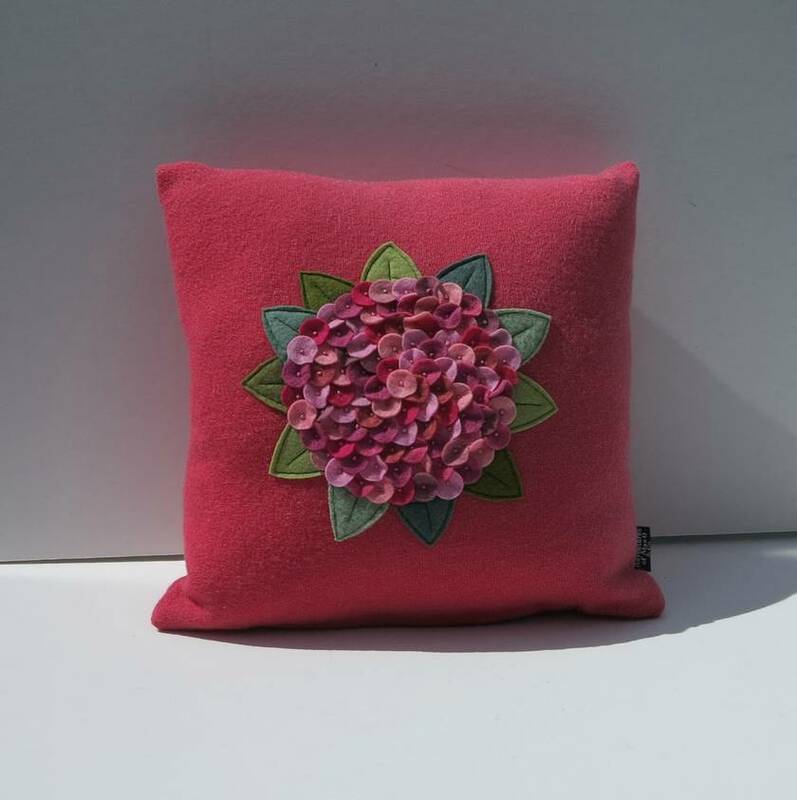 The Hydrangea's are made from wool blend and 100% wool felt. Some of the felt has been hand dyed by myself. The green leaves are sewing machined on. The petals are all hand sewn on. It is allergy free, and odourless. The back of the cushion is plain blanket. This cushion cover has a zipper opening at the bottom. With the cover being pure wool it is not designed to be washed. Should you get any marks on the cushion it would need to be sponged clean or dry cleaned. 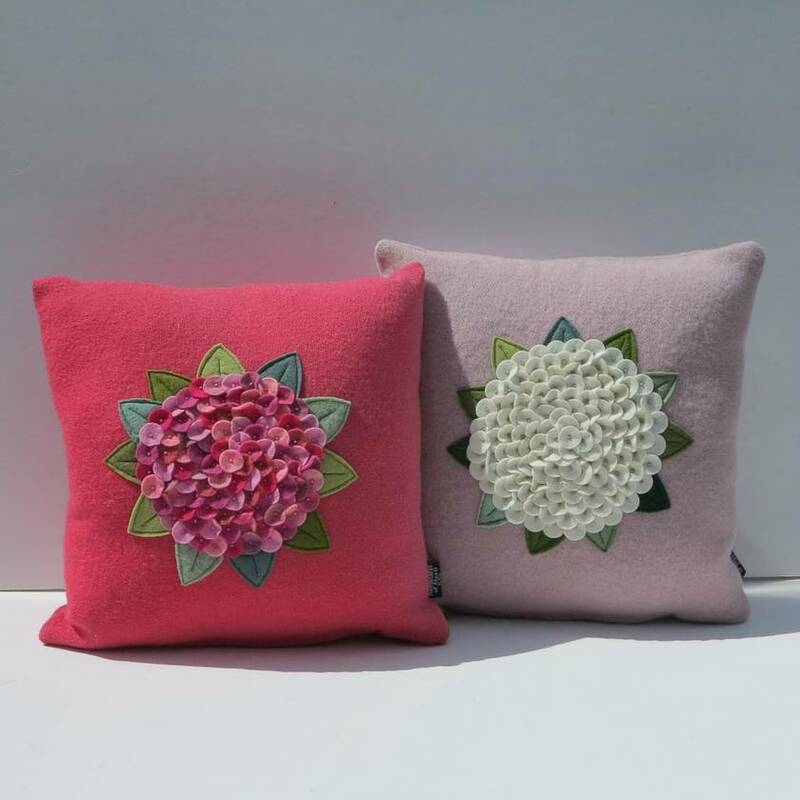 These cushions are all one off designs as I use different colours each time I make a cushion. I do other shades of Hydrangea so please do check my other listings .